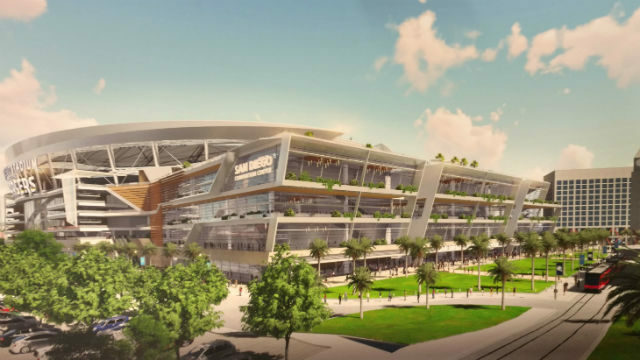 The San Diego Regional Chamber of Commerce on Thursday announced its support for the Chargers Initiative to build a new multi-use sports complex and convention facility downtown. “This is not about football business, this is about San Diego commerce,” said Margie Newman, a small business owner and member of the chamber’s committee on the Chargers Initiative. 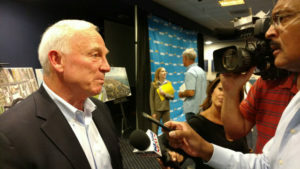 Jerry Sanders is interviewed after the press conference. “Our ad hoc committee’s recommendation to the board that the Chargers Initiative would be supported was the result of analysis and extensive discussion with representatives with the Chargers, the lodging and tourism industry, members of the community, chamber partner organizations and other key stakeholders,” Newman said. The announcement was made at a late morning news conference at Chargers Park in Murphy Canyon after the chamber’s board of directors voted to support the plan. San Diego Regional Chamber President and CEO Jerry Sanders, San Diego Chargers Chairman of the Board Dean Spanos, Chargers Head Coach Mike McCoy and retired Chargers center Nick Hardwick joined Newman in making the announcement. In its letter of support for the initiative, the chamber outlined several requests that it asked be considered by the Chargers, including, making sure the tourism marketing district gets 2 percent of the increase in tourism taxes, that no money be used from the city’s general fund, and that parking, traffic and infrastructure issues be addressed, among other issued. 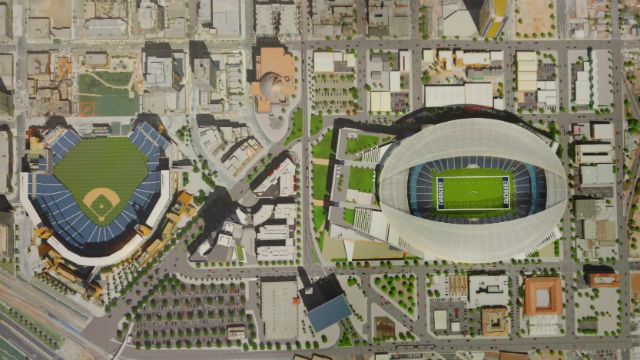 Sanders said it’s a matter of civic pride to keep the Chargers in San Diego and a new downtown stadium would have a positive impact on the East Village, Downtown and the entire region. One group that the chamber’s board of directors did not meet with before the vote, was the “No Downtown Stadium – Jobs and Streets First” coalition. Chargers head coach Mike McCoy took time out from his preparation for the beginning of training camp Saturday to speak in favor of the new stadium. Retired Chargers center Nick Hardwick urged voters to get to the polls on election day. The Chargers Initiative was approved for the November ballot by the San Diego City Council earlier this month, after the Chargers submitted enough signatures by registered voters in the city of San Diego.